The BMPG have supported a number of museums in their work to restore and preserve Bloodhound MKII items. Advice and guidance is always available and where possible items have been sourced to complete or enhance a Bloodhound MKII exhibit. The following are examples of equipment we have supplied. The Muckleburgh Collection have a Bloodhound MKII missile but no launcher to display the missile in an elevated position. The BMPG became aware of two surplus launchers at the BL-64 Museum in Switzerland and were able to secure these and organise their recovery to the UK. NEAM received the second launcher recovered from Switzerland but in this case it was to display a Bloodhound MKI missile. 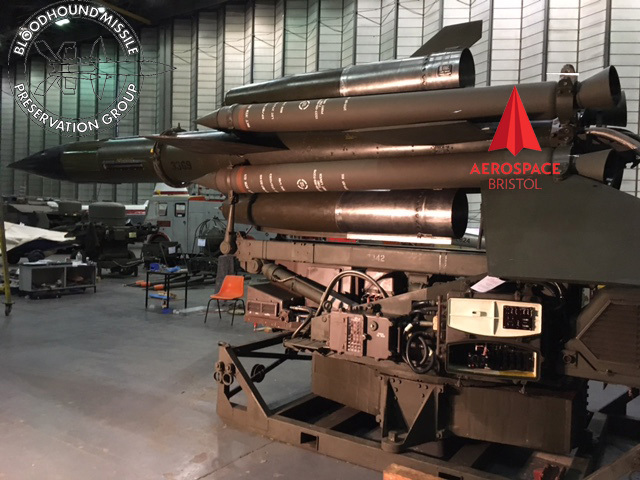 A complete set of launcher sub-assemblies to enable Aerospace Bristol to restore their Bloodhound MKII Launcher to operating condition. 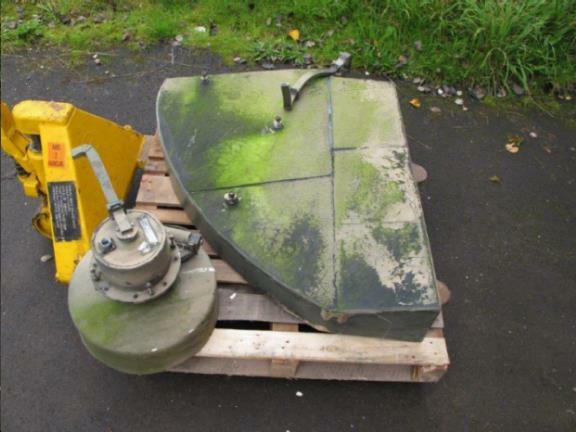 The BMPG recovered (as seen above) and supplied two aerials for NASM's Bloodhound MKII Radar Type 86. When received by NASAM the Type 86 radar was incomplete, missing the 'in-flight reference' aerial and the 'jamming assessment' aerial. The supplying of these two aerials made the NASAM Type 86 complete. An important task as the Type 86 at NASAM is the only original RAF Bloodhound MKII radar to survive. BMPG usually source items free of charge and as a result no charge is made for the suppling of items to museums but transport costs, if incurred, are covered at cost.